In any airline merger, there are a million different things that have to come together and countless decisions to be made. But few of these things have a major customer impact. In the American/US Airways merger, we’re about to see how the first of the major impacts: the frequent flier programs are combining this weekend. If this sounds easy, it’s not. Here’s how this is all coming together. In this particular merger, American’s AAdvantage program is the surviving program. If you have an AAdvantage number, you keep it. If you have a US Airways Dividend Miles (DM) number, get ready for something new. And if you have both, everything will be merged under your AAdvantage number. But the surviving AAdvantage program has some changes in it, primarily around the way upgrades are processed. So this combination is more complex than it might sound on the surface. We’re talking about hundreds of billions of miles and hundreds of millions of transactions that need to end up in one place while certain parts of the program change. American’s mantra has been “no mile left behind.” Let’s see if the airline can pull this off. You probably don’t realize it, but we’re already in phase two of the combination of Dividend Miles and AAdvantage. In phase one, which started several days ago, American started freezing the DM program. Enrollments in DM were stopped, and people were no longer allowed to match their DM and AAdvantage accounts. These were small moves but they helped American get the program closer to where it needed to be before the combination could happen. The second phase just began early this morning, and it’s when the heavy lifting started. American is calling this the “read-only” phase. For Dividend Miles, redemptions were halted at the stroke of midnight and profile changes were disabled. With nothing allowed to change, American can now take a final snapshot of the DM program (the team has taken other snapshots before, so this should be somewhat routine) and import it into AAdvantage. Before the programs combined, they didn’t really work well together at all. There was a little crossover — for example, DM elites could upgrade on American flights and vice versa — but only much closer to departure and after the AAdvantage elites had theirs processed. Yes you could earn miles on those flights too, but you couldn’t combine miles or do a host of other things. Now with Dividend Miles frozen, the true combination can begin, and travelers will start seeing these things as early as today in their accounts. Even though the programs aren’t officially merged yet, American will begin advancing status to US Airways elites. The combined activity in the US Airways and American programs will determine status levels, and those status levels (not mileage balances) will start showing up as early as later today. For American or US Airways credit card holders, you’ll start seeing things like free checked bags and priority boarding work across both airlines shortly. I should be clear to point out that just because there will be an AAdvantage outage doesn’t mean you as the customer see much of a difference. You can still redeem American miles, for example, but it will just go into a queue for processing once the program comes back up. So this part should have no impact on you. By Saturday, Dividend Miles should be gone, but before it goes, every member will receive an e-receipt showing all their final activity stats in terms of miles, status, etc. You can use that to make sure that everything shows up right on the American side. For those who were solely AAdvantage members before this, nothing will change. For those who were solely Dividend Miles members, you’ll have a new AAdvantage number fairly quickly. For those who had both, the process may take a bit longer. But once it’s done, you’ll get another note confirming that it’s finished. Once the new program is live again on Saturday, the third phase is done. The new AAdvantage upgrade program will be in place that day. That means every elite will now be listed for upgrades automatically on flights under 500 miles, and they can use their now-called e500s (stickers) or eVIPs (systemwide upgrades) to upgrade on longer flights, when they get them in their accounts. Free upgrades on US Airways flights will continue until the switch to a single reservation system happens later this year and the US Airways code goes away. You will be able to login to your account on the American or US Airways site using either your AAdvantage or your Dividend Miles number for some time (even though Dividend Miles will technically be gone). If you put your Dividend Miles number in a reservation, American will be running sweeps to automatically replace that number with your AAdvantage number. American expects people will accidentally use the old Dividend Miles number for awhile, so it will continue doing sweeps for some time. If a sweep somehow misses your reservation, or you enter your Dividend Miles number at the last minute before a sweep can be done, the miles will still be credited. Any miles that come in to the Dividend Miles number will be automatically sent over to the AAdvantage account. Make no mistake, this is a huge undertaking. It is also the first big system merger that customers will see. Will American pull this off without any major complications? By Monday, we’ll know. After the integration, let’s see how long it takes for them to add spending requirements for status and change mileage accumulation to make it based on fare paid like the other airlines have done. This merger is the final one in a series of mergers that has basically cut the number of major airlines in the US in half. With so much less competition, a frequent flier program really isn’t necessary anymore, since passengers don’t have as much choice regarding airlines. Therefore, all of them are getting devalued, and AAdvantage will be no different. It will take years before the will be able to modify the Ventana system. They are still fixing issues from the original switch from the AAATMS system. They don’t need to change systems to make changes to the program rules. Did you even read my post? 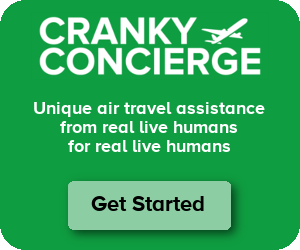 I think AA has learned a fair deal about how to evolve their program from Delta. I’m betting they’ll put some sort of revenue component into it, but I’d also expect that they’re not going to pull a United and copy Delta. Thing is, there’s already a revenue component to AAdvantage – elite qualifying points, which are awarded on a sliding scale based on fare basis code. Discount economy earns only 50%, while business and first earn 150%. Since elite qualification is based on the higher of EQMs (strictly miles based) or EQPs (fare basis weighted), you already effectively receive a “bonus” for buying up to a higher fare class by earning status faster. At the same time, it doesn’t completely p*ss off those flying on el cheapo tickets, because you still earn 100% base miles. I personally think this is a reasonably fair system and shouldn’t be tinkered with too much, but we’ll see what happens. My guess is they’ll do something incremental like reduce EQPs on the cheapest coach tickets to 25%, while increasing full-fare F to 200%. DISASTER! Aa.com down all day. Guessing they didn’t plan this too well. Must be losing millions since they can’t book seats. I heard it wasnt affecting flights but AA could care less if you get anywhere, only that they can charge you for it. Actually, if the flight gets there i am sure they don’t mind. Deede – Disaster? If this is a disaster, then I’d love to hear what you called the Continental/United combo. That must equate to nuclear annihilation. The website was on and off up and down yesterday though it looks like login functionality was down most of the day. In the scheme of things, that’s not the end of the world by any stretch. So far, mileage combinations seem to be good and things are back to normal today. I’ll be curious to see if other issues pop up in the next couple days. As a member of the AA customer service team, no devaluing will be going on. Don’t forget we have 37 million AAdvantage members to service on a program they’re used to getting. What’s interesting is, several of my fellow UPGRD bloggers, as well as a handful of commenters, reported receiving elite status based on prior year US flying or status matches early. This seemed to be most prevalent among those who were AA elites in 2014, and didn’t requalify for 2015 with AA but did on US. Instead of their AA status lapsing on March 1st and then reappearing a month later, AA apparently made the decision, on a targeted basis, to just let those folks keep their status. My guess is AA was looking to forestall system issues and glitches, and preferred to just hand out elite benefits and upgrades they technically didn’t have to for a few weeks rather than field complaints later. If so, I have to say, that is a shockingly proactive move for a domestic airline, and is actually a good sign that they may be able to pull off the FF program combination without major incident. Since I now have zero miles with US, I don’t have to worry about anything going bad. Years ago after USair murdered (ended) the last of the PSA west coast routes, I had no reason to need to fly them. But I still had all those PSA/USair miles which were never going to expire. So a few years ago when US emailed me that I had to fly or use up my never going to expire miles or they would vanish, I chose to donate the miles to the Make-a-Wish foundation and be done with US. Ah. I got a magazine subscription that I didn’t want to keep my Dividend Miles alive. I also flew UA once after the AA/US merger, but before they cut UA off from the frequent flier program. I don’t get it. My Continental Airlines number is still the same even after the UA/CO merger. Why can’t the AA/US Airways process do the same? Brian L – Your Continental number is the same because United kept the old Continental numbering system. All of those people with United Mileage Plus numbers had to get new ones. Here, the American number is surviving, so none of those change. It’s the US Airways ones that go away. I can log in to AAdvantage, and my miles are there – but no e500 upgrades or Systemwide upgrades posted. I checked-in this morning for my USAirways flight tomorrow morning (6:30 a.m.) and there semed to be no recognition of status – “preferred seats” (up front) all had a cost, no choice to go on the upgrade list, and I could pay $36 for priority access at the airport. I just HOPE HOPE HOPE they do somehting to make up for the status demotion by giving me a whole bunch of e500 upgrades. I fly a lot of short flights (over 500 miles but less than 100), and it will take a lot of trips to earn the e500s based on miles. Why can’t they also let you earn these based on segmenets?? It will take me about 15 segments to earn the e500s on miles….but 10 segments SHOULD really get you the same thing. MCE will be great…but it will take eons for AA to upgrade the legacy US fleet to have MCE seats. I guess the benefit for me is, once I reach AA Platinum…I really have no incentive to fly more segments, and can add a second carrier….and probably at least get to Silver on a second program. CrankySailor – Do you have the account snapshot now? Mine came in at 7:01a PT today. It had all the details in there. When I went to login, my miles had all been moved over. The final email I don’t think is supposed to be sent yet. It should go once all the eVIPs and e500s get moved over (eVIPs should come first, probably today I’d think), along with any other nagging issues. I’m expecting to see it sometime this week. Weird about the check in not recognizing your status. Was it a codeshare maybe? I’d definitely report that to AA since they need to know if it’s not working. As for the e500s, you should get four for every 10,000 elite miles earned from March 1, 2014 (or the date you qualified for Preferred status) through February 28, 2015. Not sure why they don’t do it by segments as well. I received an e-mail with Dividend Miles snapshot at 10:21AM Sunday. When I checked AAdvantage in the afternoon, the DM were there. One note…supposedly when this is done the elite upgrades on both airlines will revert to your priority, so as an EP or platinum if you fly US Airways, you can get in your normal place in line for upgrades. However, there is one big point. You have to do your reservation all on one airline, not both. If you buy, say, a roundtrip from DFW to Philly on aa.com, you only get the proper upgrade priority on American flights, not “AA 673 operated by US Airways”. Similarly, if you book a flight on US Airways, if it is an AA-operated flight, it will be the same issue. You only get priority listing on flights operated by the one whose reservation it is, AA or US. Moral: Don’t mix and match flights. Go all with one or the other if these are flights you want upgraded. Have been a USAirways DM member for 10+ years, holding Gold status consistently for the past 6 years (one year I was Platinum). Now have moved to AAPlatinum. Okay. Traveling tomorrow on USAirways to the west coast. No email notification for upgrades (typically would have seen that at 3 days out). Go to website to retrieve reservation and it cannot be found. Call USAirways/AA and get the run around. They cannot pull up my reservation with my new AA number or my old DM number. Finally it is found using the confirmation code. Agent tells me I can only get an upgrade 24 hours out and I should get the email notification still…..it is now 24 hours until travel and no option to add to upgrade list and no email about upgrade status. 1. Since I live in Charlotte which was a U.S. Airways hub, I usually have no choice but to take a U.S. Air flight. I have not seen an upgrade since the merger. I called and asked at counter but it’s like talking to someone who knows nothing. 3. I am TSA PRECHEK, However, I only receive it on AA flights. When I asked three times now at the counter I have received the same answer “yes, I have heard that before”. Nice job combining info and treating legacy US Air customers (Chairman) with respect. They always say they know we have choices…. Not in Charlotte!